Selecting text in Microsoft word is easier than ever. If you would like to select a word within a paragraph, double click on that word. If you would like to select the whole paragraph, triple click in that paragraph. If you would like to select the whole sentence, click anywhere in the sentence while holding the Ctrl key. To select the text starting at your cursor to the end of the paragraph, press Ctrl + Shift + Arrow down. Additionally deleting words is easier than ever. If you hold the Ctrl key and select the backspace key deletes the preceding word. You can quickly increase the font size by selecting the text and Ctrl + Shift + > to increase the text size and Ctrl + Shift + to decrease the font size. Navigating through your document is can be quite frustrating when you need to quickly move through your document. If you would like to navigate from one word to another, simply select Ctrl + right or left arrow to navigate from word to word within a paragraph. If you would like to move from paragraph to paragraph, simply use the Ctrl + arrow up to navigate to the previous paragraph and Ctrl + arrow down to navigate to the next paragraph. Where did I leave off at? 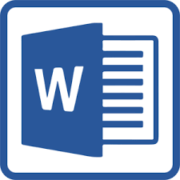 Microsoft Word records the location of where your last cursor was placed in your document when you last saved your document. Select Shift + F5 to automatically move your cursor to the location where it was when you last saved the document. Welcome to our blog. In my 20 year career, I have always been supporting role positions and it’s no surprise that I decided to venture off into the professional support industry permanently. At Expert Virtual Assistants, we are the extra hands and hours you need. We know how hard it can be to juggle many tasks and working in the corporate world has helped us understand the needs of a company. We provide services that are both cost-effective, efficient and have the knowledge skills and abilities that will add hours to your day. We understand the importance of working towards your future, the demands of running a business as well as time. We have a group of assistants with lots of knowledge in many fields of the business world. But we are also professionals with families of our own and understand that the best time is spent with your loved ones. Working with Microsoft Word can be quite intimidating, cause headaches and frustration if you are unfamiliar with its workings, however, there are tons of tips and shortcuts one could learn to master in a matter of minutes. Below are a few tips and tricks that will elevate your mastery level so that you can increase your efficiency and productivity. Using a template will enable you to quickly create documents without having to think about formatting. These are predesigned templates with the document properties, font and formatting of styles set and are also great if you want to make sure that the look and feel aligns with organization’s marketing and formatting standards. The only requirement is for the user to insert their desired text into the document. Out of the box, Word has many several pre-set word templates available but if you don’t see one that fits your needs, they easily be created. Styling your document adds a professional touch to any document. By using styles, your documents will look much more polished and it will allow you to consistently style paragraphs within your document. Word Styles can be used by activating the Styles Dialog Box Launcher located in the toolbar above the area of text. Simply move your cursor over the type of style you would like to implement. While moving your cursor over the selection of styles, you will notice that your selected text changes to reflect the selected style. When you have found a style that suits your purpose, click on it and your text will change to the attribute of your choosing. Customizing your Quick Access Toolbar is yet another way Microsoft Office increase your productivity. To do so, locate the “ribbon” and click the desired tab or group to see the commands that you would like added to your QAT. Right­click the desired command and then click Add to QAT on the shortcut menu. After this action, your QAT should immediately reflect these changes. These are indispensable tools that can be used to further expand your successful use of Microsoft Office. http://expertvirtualassistants.com/wordpress1/wp-content/uploads/2018/11/101250841.png 0 0 Admin http://expertvirtualassistants.com/wordpress1/wp-content/uploads/2018/11/101250841.png Admin2018-11-29 17:57:452018-11-29 17:57:45Hello world!